80808 on 80808 started with a trumpet fanfare at 8:08 AM, of course. The event was off to a tremendous beginning! 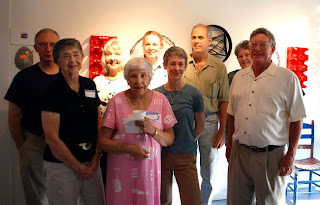 Below are photos of some of the participating artists and the morning reception. Columbia City Jazz brought fantastic dancing and choreography at 4:08. They filled the gallery with unparalleled energy, controlled movement, and powerful emotional impact. 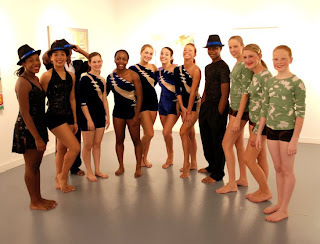 The talent exhibited matched the strength of the visual artworks on display. 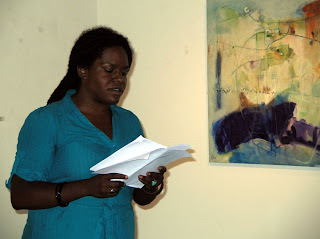 At 5:08 was a dynamic poetry reading. 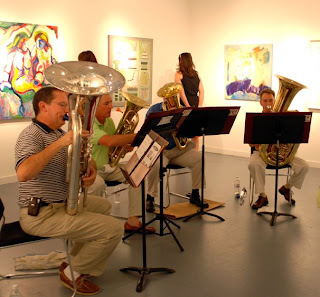 At 6:08 Tuba IV filled the space with music. 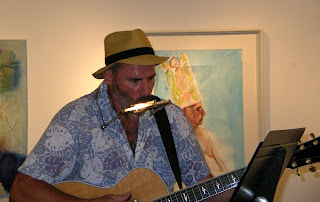 The final performance of the day was Michael Hart on harmonica and guitar. 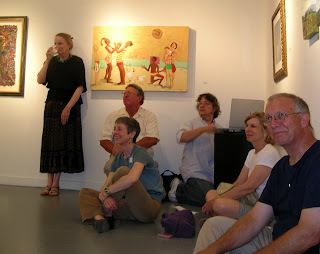 Everyone enjoyed the entertainment and the art. The exhibition continued through a busy weekend and the gallery is open by chance or appointment (generally during the weekdays from 10 AM and on the weekends from 11 AM) through August 26. For additional information, please call Gallery 80808/Vista Studios at (803) 252-6134 or visit the website at www.gallery80808vistastudios.com. Call it providence. Call it serendipity. Whatever you call it, it’s about time. On Friday, or 8/08/08, Gallery 80808 in the Vista will open an exhibition celebrating the once-in-a-century event — the serendipitous date. Current artists-in-residence at the 80808 studios will present works alongside former resident artists who have returned for this unique show in Columbia. In keeping with the “08” theme, the exhibition opens with a free reception featuring local arts groups performing dance, music and poetry readings every hour at 8 minutes past the hour. 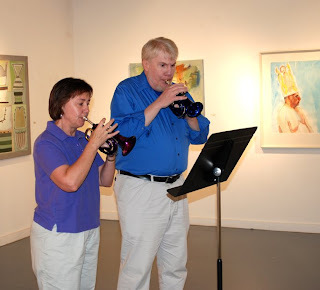 The lineup begins at 4:08 p.m. with Columbia City Jazz Company, followed by a poetry reading by poet Ed Madden (5:08 p.m.), a performance by the tuba quartet Tuba IV (6:08 p.m.) and music by Michael Hart (7:08 p.m.). This schedule may change, says organizer Andy Witt. 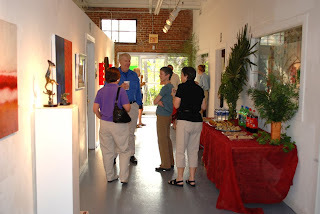 The gallery’s web site, gallery80808vistastudios.com, has the most up-to-date information regarding the reception. The gallery will open at 8:08 a.m. In the arts world, August is generally considered part of the off-season. Susan Lenz, a fiber artist who rents a studio at the eclectic address, says that’s one thing that makes this show so special. Another is the fact that former residents are returning for the group show. The third is obvious. This is the first show in which current and former Vista Studios artists have come together to show work. Among the returning artists: Mike Williams, Gene Speer, Bob Allison, Jeanette Grassi, Christian Thee and Brent Wahl. “This is one of the true art co-ops in the area, and the breadth and quality of the artists and their work is absolutely first class,” Witt says. Pat Callahan is also a part of that co-op, and her sentiments agree with Witt. “How better to communicate its place in the Columbia’s visual arts than to invite former Vista Studio artists to participate in a group exhibition,” she says. Lenz highly values her private space at Vista Studios, and says that’s what makes 80808 so unique — the address not only offers a respected space for artists to show their work, but also houses a community of artists who have private space just for their art. Lenz is one of 13 artists who currently rent space at the address. Those artists collectively show work during the Vista’s biannual art shows, Artista Vista and Vista Lights. 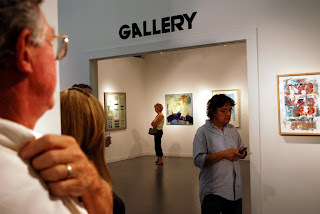 Throughout the rest of the art season the gallery is rented out for other exhibitions. 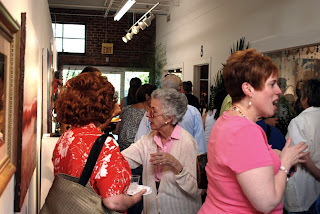 Vista Studios at 80808 Lady Street has held a vibrant community of artists since the Columbia Development Corporation and the S.C. Arts Commission supported the venture to “anchor development” in the Vista in the early ‘90s, according to Callahan. Since then, Vista Studios has been a mainstay of the district. Gallery 80808 is located at 808 Lady Street in the Vista. 80808 on 80808 opens Friday and runs through Aug. 26. An opening reception will be held Friday from 4:08 p.m. through 8:08 p.m. with performances held each hour at 8 minutes past the hour. For more information, call 252-6134 or visit gallery80808vistastudios.com. It would be hard to count the number of times numbers come up in art. S.C. native Jasper Johns has spent much of his career exploring images of numbers. Charles Demuth’s 1928 masterpiece “The Figure 5 in Gold” is in the collection of the Metropolitan Museum of Art. And this: 1.618. That’s the “golden ratio.” Artists and architects dating back to the Renaissance have proportioned their works to approximate the golden ratio, believing it to be aesthetically pleasing. Gallery 80808 is doing its own number show, opening today — 08/08/08 — at 8:08 a.m.
• Four artists who were original tenants when the gallery opened in late 1990 will be included: Heidi Darr-Hope, Robert Kennedy, Mike Williams and Anne Bjork. Two of these, Darr-Hope and Kennedy are current tenants. • The gallery is at 808 Lady St. Call (803) 252-6134 for information.